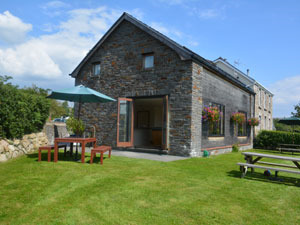 holidaycottages.co.uk01237 426 255work Holiday Letting AgencyHolidaycottages.co.uk offer a selection of over 2,000 self-catering properties across the UK, with a wonderful choice in Wales. Whether you're looking for a dog-friendly holiday, a short break with the family or a romantic week away, you'll find your perfect home-from-home within their collection. Each property is individually inspected by one of their experienced team, with our high standards often exceeding guests' expectations. Holidaycottages.co.uk offer a selection of over 2,000 self-catering properties across the UK, with a wonderful choice in Wales. Whether you're looking for a dog-friendly holiday, a short break with the family or a romantic week away, you'll find your perfect home-from-home within their collection. Choose from properties on the coast within a stone's throw from the beach, or opt for a cosy rural retreat away from the hustle and bustle of the city. Directions will be provided in your confirmation email once a booking has been made. For location of the property, please consult maps on the website or call the holidaycottages.co.uk reservations team.